TJ Hughes: New beds, just arrived!! At TJ Hughes we are constantly looking to expand our ranges and offer you more choice. We have just added these fantastic Julian Bowen beds to our online range. 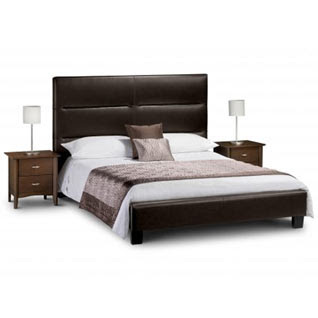 Julian Bowen Ultra is a faux leather bed frame with a great luxurious look. The stand out statement headboard towers above that of most beds and is tastefully accentuated by the low base. For added comfort and support the base has sprung slats. 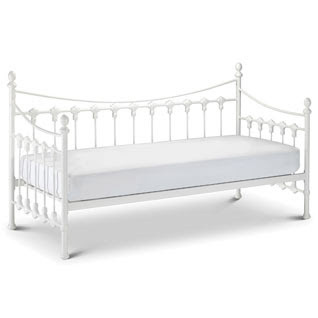 The Azure metal day bed frame is stylish and eye-catching, with ornate detailing and a fresh stone white finish. With this day bed you don't have the hassle of folding down a bed when you have an overnight guest, all you need is to throw some bedding on and voila your guest has a luxury bed for the night. To go with your new ultra bed or your day bed why not go for an Opulent Dreams memory foam mattress? Memory foam promotes good healthy blood circulation and has heat sensitive, state of the art technology. The only problem you'll have will be getting your guest to leave!! This Gloucester bed frame is finished in white and features a classical high foot end, which will look great in any childs bedroom. Engraved castings finish the frame to enhance the traditional design. 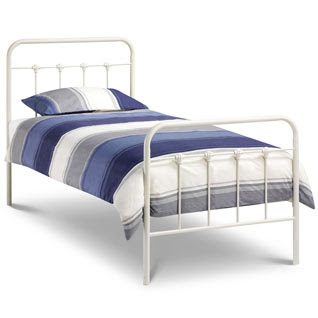 This bed frame has a sprung slatted base, giving great mattress support and ventilation. 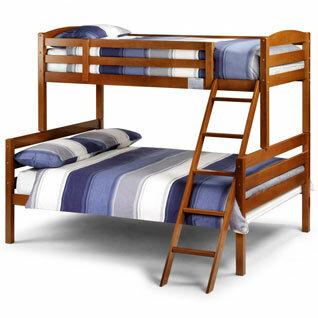 This Toltec bunk bed offers a contemporary looking twist on the traditional bunk bed. It features a metal headboard and footboard with wooden posts finishing each of the corners. This Corfu triple sleeper bunk features an antique pink finish with a great design. 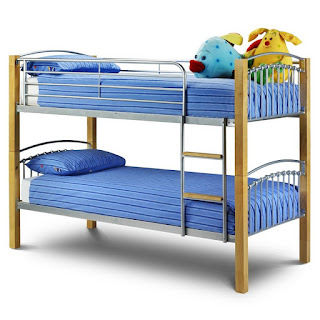 The bunk features a single bed on top and a double bed underneath, making it ideal for growing children. This bed can be separated into 2 beds.